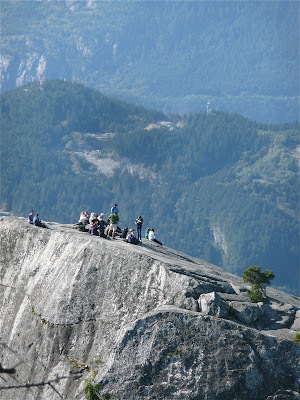 We hiked up to the second peak of the Stawamus Chief yesterday. 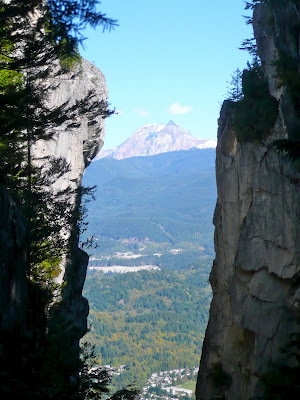 It was 11 kilometres of gruelling uphill hiking, hanging on to chains and climbing ladders. A few sections were extremely technical for me, but I made it to the top relatively unscathed. where are the photos of the death defying crawl up the chains and ladders? The death-defying photo has been added.